Robyn Crosswhite graduated from Graceland University located in Independence, Missouri with a Master's degree in Science and Nursing in 2016. Prior to graduate school, she earned her Bachelor's degree from Lubbock Christian University in 2011. Her past nursing experience consists of critical care, emergency medicine, and Post Anesthesia Care Unit. She's a board certified Family Nurse Practitioner and a member of the American Academy of Nurse Practitioners. Before joining Texan Allergy and Sinus Center, she worked as a pediatric primary care provider. Robyn has first hand experience with environmental allergies and understands the burden they can cause. 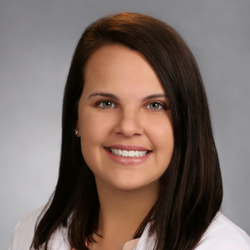 She's excited to join Texan Allergy & Sinus Center, and share her passion for educating and managing patients in an effort to help them gain control of their allergy symptoms and achieve a better quality of life.